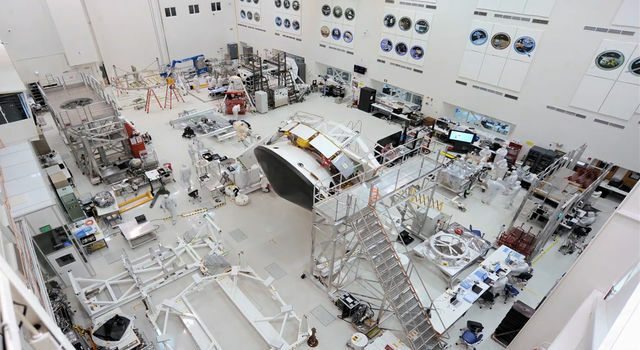 NASA's Mars 2020 mission has begun the assembly, test and launch operations (ATLO) phase of its development, on track for a July 2020 launch to Mars. The first planned ATLO activities will involve electrical integration of flight hardware into the mission's descent stage. The Mars 2020 rover, as well as its cruise stage, aeroshell and descent stage -- a rocket-powered "sky crane" that will lower the rover to the planet's surface -- will undergo final assembly at the Spacecraft Assembly Facility High Bay 1 at NASA's Jet Propulsion Laboratory in Pasadena, California. "No better place in the world to assemble NASA's next Mars rover than JPL's High Bay 1," said Mars 2020 Project Manager John McNamee at JPL. "On the floor you'll see the components of our spacecraft taking shape -- put together by people who are the best in the world at what they do. And on the wall behind them you will see all the logos of the historic missions of exploration that have also been assembled in High Bay 1 in the past." Those missions include the Ranger missions to the moon (the first time America reached out and touched the moon), the Mariner mission to Venus (the first spacecraft to successfully encounter another planet) and Mars rovers. Over the next year-and-a-half, engineers and technicians will add subsystems such as avionics, power, telecommunications, mechanisms, thermal systems and navigation systems onto the spacecraft. The propulsion systems were installed earlier this year on the cruise and descent stage main structures. 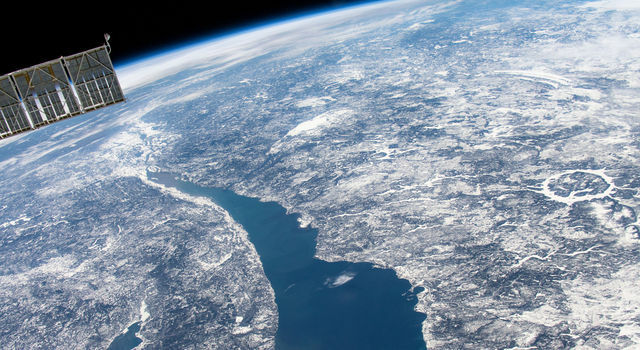 "Parts of this mission are coming from the other side of the world, and some are coming from just 'down the street' in Pasadena, and some are coming from literally down the street - a couple of buildings away," said David Gruel, ATLO Manager for Mars 2020 at JPL. "Right now we are working the descent stage, and by fall we expect to be working on the rover itself." 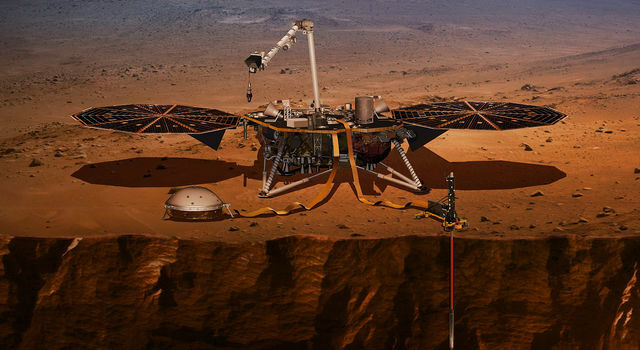 Mars 2020 is targeted for launch in July 2020 aboard an Atlas V 541 rocket from Space Launch Complex 41 at Cape Canaveral Air Force Station in Florida. The rover will conduct geological assessments of its landing site on Mars, determine the habitability of the environment, search for signs of ancient Martian life, and assess natural resources and hazards for future human explorers. Additionally, scientists will use the instruments aboard the rover to identify and collect samples of rock and soil, encase them in sealed tubes, and leave them on the surface of Mars for potential return to Earth by a future mission to the Red Planet. 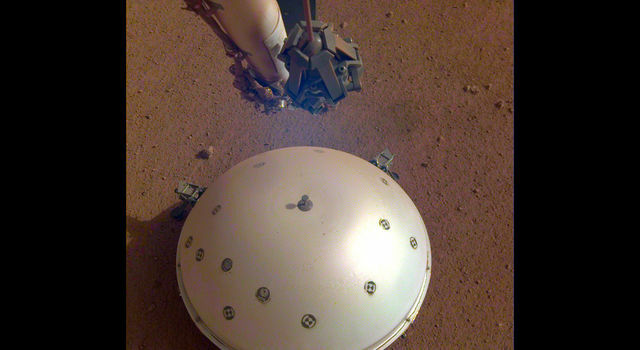 The mission will build on the achievements of the Curiosity rover and other Mars Exploration Program missions, and offer opportunities to deploy new capabilities developed through investments by NASA's Space Technology Program and Human Exploration and Operations Mission Directorate, as well as contributions from international partners. The Mars 2020 Project at NASA's Jet Propulsion Laboratory in Pasadena, California, manages the Mars 2020 spacecraft development for the Science Mission Directorate at NASA Headquarters in Washington. 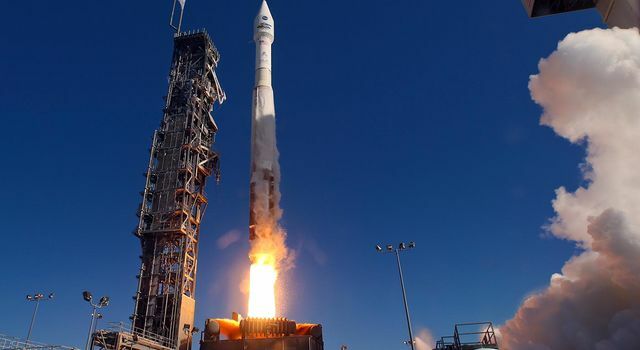 NASA's Launch Services Program at Kennedy Space Center in Florida will manage and oversee the Atlas V launch service for Mars 2020.